Rhetorics of Creativity | D.A.R.E. It goes on to say: “The report takes as its basic premise the notion that the idea of creativity is constructed as a series of rhetorics. Academics, policy-makers and arts educators deploy a range of claims about creativity which emerge from different theories of learning, different contexts, different artistic traditions, different academic or quasi-academic traditions and different policy contexts. 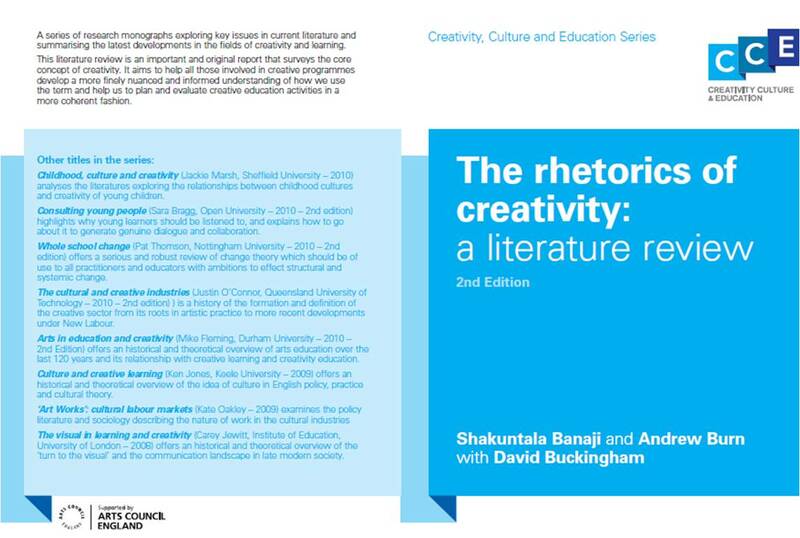 Nine rhetorics are identified and briefly explored in the review: creative genius; democratic and political creativity; ubiquitous creativity; creativity as a social good; creativity as economic imperative; play and creativity; creativity and cognition; the creative affordances of technology and the creative classroom. The report has been widely cited in recent literature about creativity and education, as well as being an important basis for our own thinking about the nature of creativity. Particularly valuable for our own work was the Vygotskyan conception of creativity as a transformation of cultural resources using semiotic tools, governed by rational thought.